In July of 1985 I had travelled into the city for a meeting. Pausing for a mid-day break, a few of us walked casually down to the docks. What we saw there shocked us. Still in a pleasant reverie from our meeting, we weren’t prepared to take in what we witnessed. The gashed body of the iconic Rainbow Warrior ship lay listing into the water like an injured whale. On its exposed flank shone the glistening rainbow of the Greenpeace insignia. 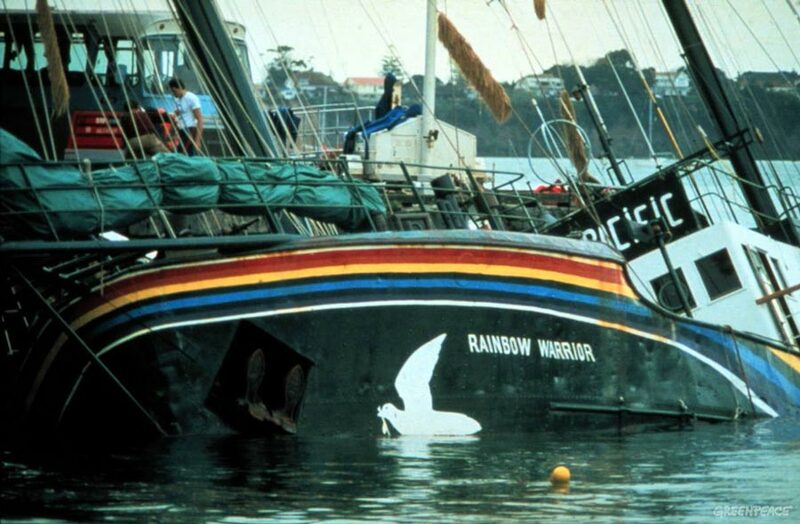 The sinking ‘Rainbow Warrior’ in Auckland, New Zealand (July 10, 1985). The Greenpeace flagship, struck by two bombs state-sponsored terrorists had planted on her hull, had gone down in the Port of Auckland in my home country of New Zealand. One man, a photographer named Fernando Pereira, drowned when the ship sank. For New Zealanders, renowned for our anti-nuclear stance, to become the victims of terrorism made for a rude entrance into the tangled world of global conflict. In retrospect, I felt grateful that we had been able to live undisturbed for the decades since our parents had returned from World War II. Banning nuclear weapons, prohibiting the use of poison gases, or outlawing germ warfare will not remove the root causes of war. However important such practical measures obviously are as elements of the peace process, they are in themselves too superficial to exert enduring influence. Peoples are ingenious enough to invent yet other forms of warfare, and to use food, raw materials, finance, industrial power, ideology, and terrorism to subvert one another in an endless quest for supremacy and dominion. Nor can the present massive dislocation in the affairs of humanity be resolved through the settlement of specific conflicts or disagreements among nations. 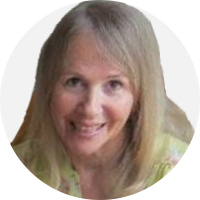 A genuine universal framework must be adopted. – The Promise of World Peace, p. 3. Denunciations of materialism or terrorism are of no real assistance in coping with the contemporary moral crisis if they do not begin by addressing candidly the failure of responsibility that has left believing masses exposed and vulnerable to these influences. As I read that trenchant advice I was reminded of a favorite verse of my mother’s from the poet John Donne: “No man is an island entire of itself; every man is a piece of the continent, a part of the main.” In other words, what happens in the world happens to all of us. Compare the nations of the world to the members of a family. A family is a nation in miniature. Simply enlarge the circle of the household, and you have the nation. Enlarge the circle of nations, and you have all humanity. The conditions surrounding the family surround the nation. The happenings in the family are the happenings in the life of the nation. Would it add to the progress and advancement of a family if dissensions should arise among its members, all fighting, pillaging each other, jealous and revengeful of injury, seeking selfish advantage? Nay, this would be the cause of the effacement of progress and advancement. So it is in the great family of nations, for nations are but an aggregate of families. The unity of the family must be sustained. The injury of one shall be considered the injury of all; the comfort of each, the comfort of all; the honor of one, the honor of all. – Abdu’l-Baha, The Promulgation of Universal Peace, p. 157. Where Is The Teacher’s Classroom? It is an excellent idea, opinion and powerful of Faith. The world was a beautiful and wonderful place for living. Unfortunately ,human’s body , mind, soul and spirit I is changing all the times. People gradual indulgence in their desires and craving within their heart-minded. They want to take over the world and others for their benefit. They invent dangerous weapon to destroy others and ruin environment of the world. Change the mind, change the world, New Life, New You, Live Better. Thanks for your views Manit. I'm glad you enjoyed the article.